Helicopter flights is the best way to see the spectacular views of the Cape. Sights include the Magnificent Table Mountain stretching along the Cape Peninsula down to Cape Point Nature Reserve, Hout Bay, False Bay, Kirstenbosch Gardens and so much more…. Experience the breathtaking views of Cape Town’s beauty from a helicopter. Take off from the hanger at Cape Town Waterfront for an adventure of a lifetime! We have 3 different trips available. Explore the scenic wonders of the Cape Peninsula from the marvellous heights of one of our helicopters. Treat yourself or your loved one to the unforgettable experience of seeing Cape Town from the air. 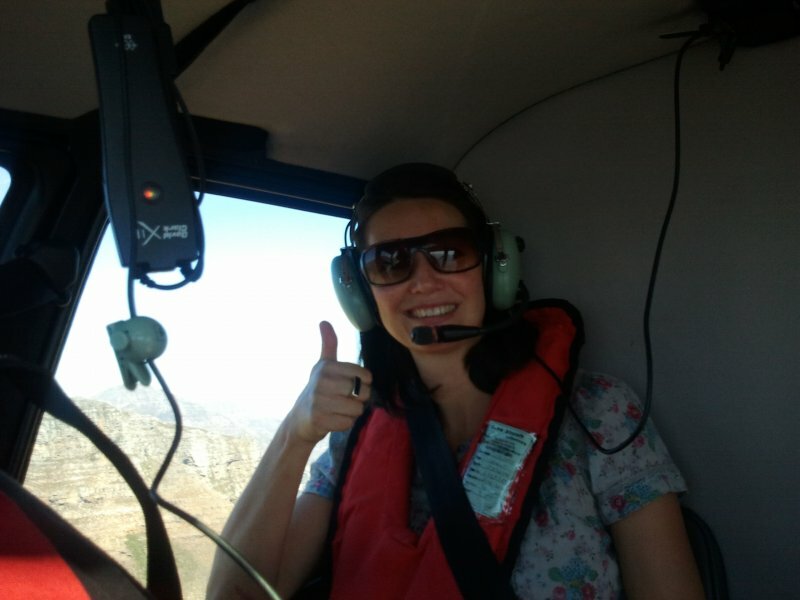 Robben Island Helicopter flights: A Robben Island helicopter tour offers an unrivaled experience that lets you see this amazing island in a way unimaginable from the ground. Atlantico Helicopter Flights : Enjoy the sight of the beautiful beaches of Clifton and Camps Bay before swinging around Karbonkelberg (Hout Bay). Fly alongside the magnificent Table Mountain before returning over the City Bowl to the Cape Town Waterfront. Two Oceans Helicopter flights : Experience the sights of the Mother City, the beaches and the vineyards along with the world renowned Chapman’s Peak. View the beauty of False Bay before returning to Cape Town.